New York City has a number of great baby stores for all your baby and childcare needs, with just about every major brand of stroller available at some place or another in the City, and some stores even feature unique baby items that you can't find anywhere else. Be sure to check out our comprehensive "Babymooners Guide to NYC" to discover the best places to take your child on your vacation to the nation's largest metropolitan area, and, if you're looking for some cute fashion for every mom, check out our guide to buying maternity clothes as well. The baby and children department at ABC Carpet & Home has beautiful decor, toys, and furniture for children, albeit at steep prices. Still, sales can be a great chance to find a unique item at a fraction of its original price. According to its website, ABC Carpet & Home is "a portal into collective creativity, integrating the elements of healing, education, sanctuary, theater, art, and interconnectivity to create the experience of a three-dimensional living magazine and interactive museum." As a result, visiting one of its Manhattan locations is more like a trip to an exhibit than a retail outlet. Let your imagination run wild as you design your child's room because you'll never know what you'll find. Albee Baby is a great place if you know what you're looking for. They often have last year's stroller models available at great discounts, but many people complain about the chaotic layout of the store. Since 1933, this baby store has been producing these high-quality strollers and a slew of other baby essentials. The only retail location for this great company is located on the Upper West Side, just a few blocks west of Central Park. This baby superstore is by the same folks that created Bed Bath & Beyond, and it carries an exhaustive stock of anything baby-related you can imagine. 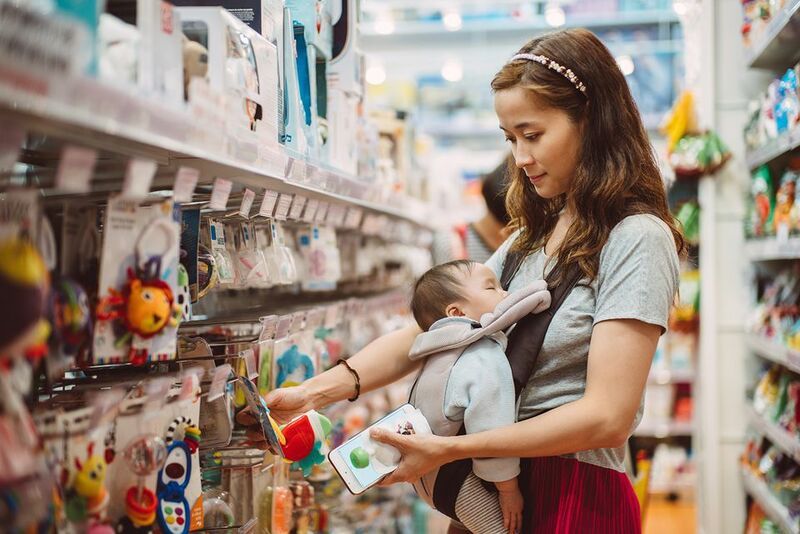 Customer service tends to fluctuate depending on how packed the store is with its location in lower Manhattan, but Buy Buy Baby is a great place to find what you're looking for or to test drive its wide array of strollers. This East Village store is a great place to find one-of-a-kind handmade toys, clothes, and gifts at prices that are refreshingly reasonable. There is also a ton of great shops for maternity wear nearby and several places to eat if you or your child get hungry while shopping. Since 1983, ​Dinosaur Hill has been packed to the brim with fantastic, unique handmade items, and you and your child will surely enjoy exploring its nooks and crannies to find the perfect souvenir. This Gramercy-area store is well stocked but not quite as overwhelming as most baby superstores, making it a good place to check out cribs, strollers, high chairs, and clothing relatively close to a lot of family-friendly restaurants. Little Folks NYC has been in business for over 40 years, serving the greater New York area with a unique selection of childcare necessities. Make a day of your next shopping trip by browsing this massive store then grabbing a bite nearby. Shop where NYC celebrities get clothes and gifts for their children: Yoya and Yoyamart, both in the Meatpacking District. This is a great place to find that perfect gift for the baby who has everything and a potential opportunity to experience a celebrity sighting in New York City.